What's the best thing about graphic design training? Coming out the other side with a whole new set of technical and creative skills—and the confidence to promote yourself as a real graphic design professional. This field has evolved so much in recent years. The core principles of design remain the same, but there are so many new tools and technologies out there; so many ways for designers to express their ideas and develop their talents. What can you expect to learn in a quality graphic design program? Here's a sneak peek of 9 very cool skills you'll learn in class. Adobe InDesign and Illustrator are the most-wanted software tools in graphic design. Any job you go after will require knowledge of these programs. You'll jump right into learning InDesign and Illustrator, early on in your graphic design program. 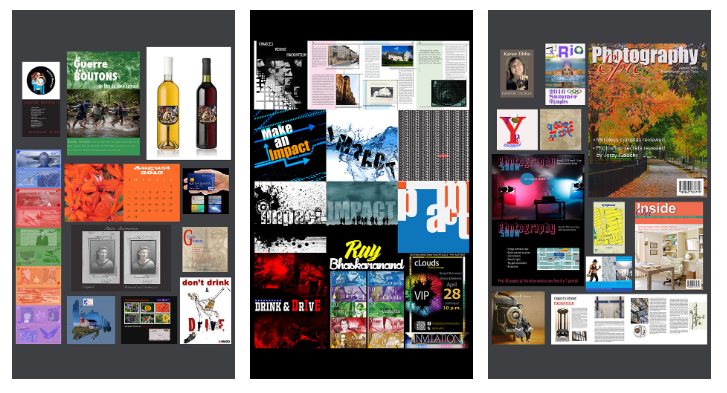 Check out this collage of work done by Herzing Graphic Design students, using Adobe software. cutting together simple video clips and adding graphics, filters, text, animation, etc. These are the fundamental ingredients of graphic design. Wonder how professionals create such eye-catching, creative, and memorable designs? Where do they start? You'll unravel all the mysteries by learning exactly how to plan out a concept, and position elements for maximum impact. You'll explore colour theory, layout techniques, how to incorporate images, and which fonts to combine. 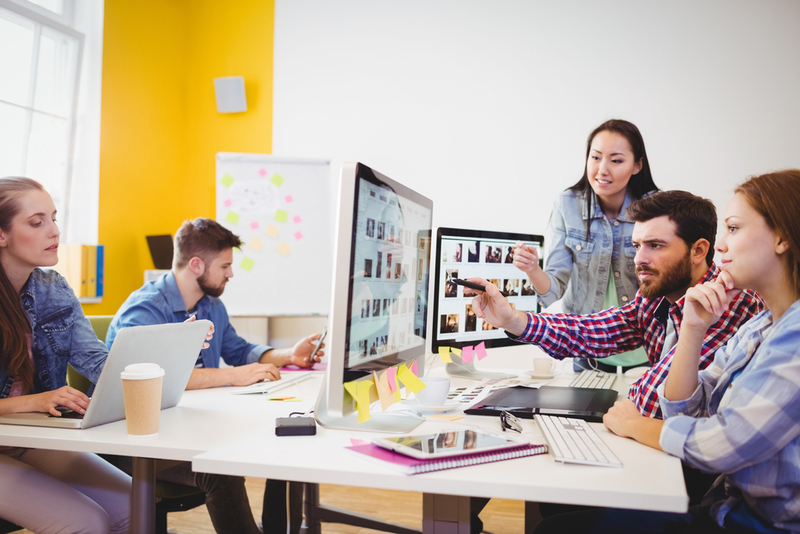 A good graphic design program takes students through many different design scenarios and contexts—print, digital, desktop, mobile— and ensures they know how to tackle each one with confidence. By the end of training, you'll have a complete arsenal of design techniques to pull from, to tackle whatever design challenges come your way. We've probably already mentioned a few design-specific terms you're not totally familiar with. Every profession has its own "language"—special terminology others don't understand, and only insiders can use authentically. Graphic design is no exception! Designers have a whole dictionary of terms they use to talk about trends, tools, and techniques. From your very first day of graphic design training, you'll start learning this language. By the end of the program, you'll be throwing around phrases like "golden ratio", "rule of thirds", and "kerning" like a true design native. You'll know how to speak graphic design. What exactly is "branding" anyway? We hear this term all over the place, but does anyone have a clear definition of what it includes? You certainly will, by the end of your design training. Graphic design courses dig deep into branding. 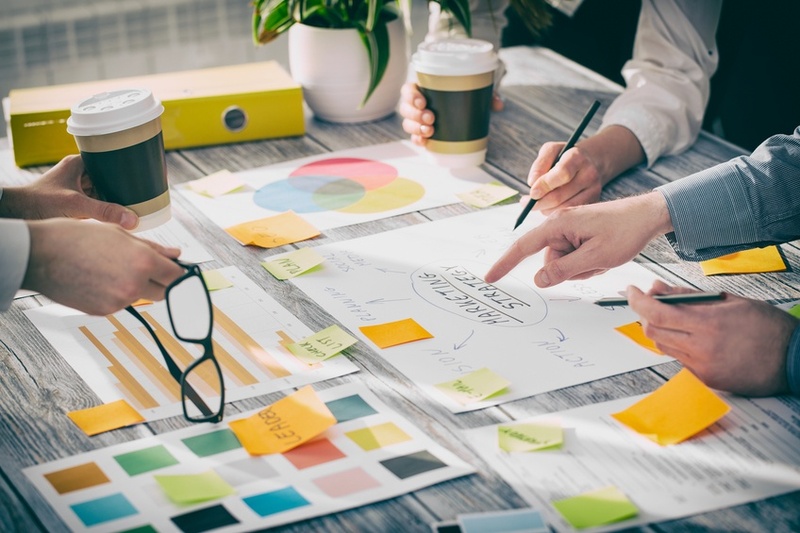 You'll put together logos, logotypes, colour schemes, product packaging, and imagery, to communicate a unique "brand identity" for business clients. You'll discover how to tell a brand story, and help companies stand out and get noticed by their target audiences. Effective branding is hugely important today. This is a very important design skill to have under your belt. 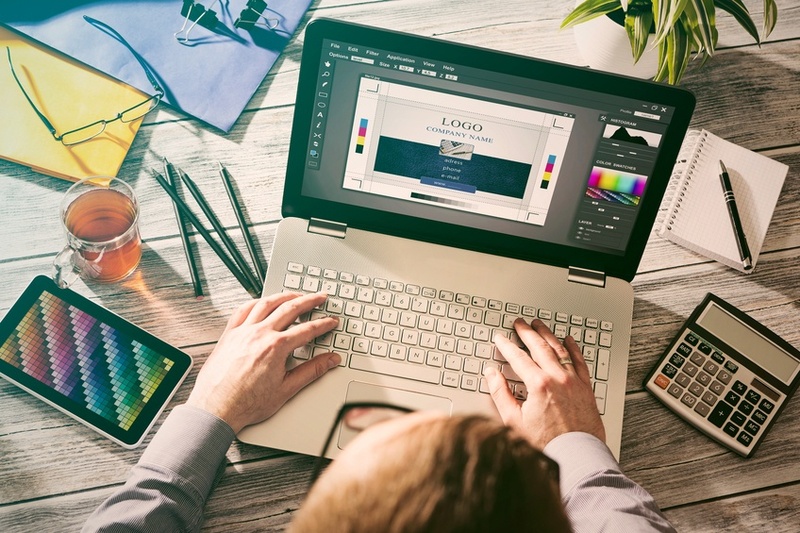 Speaking of branding and competing for attention....digital marketing and e-commerce tools are other powerful skills you'll develop in graphic design training. Many of your clients will need your help with their websites, online advertisements, landing pages, email templates, etc. A quality graphic design program will give you a good foundation in e-business principles, so you can understand your clients needs, and provide them with effective design solutions. As design becomes increasingly digital-based, you'll need to know simple programming to compete for top jobs. It's become a fairly common requirement for many positions. This is a really important professional skill. It doesn't matter how great your ideas are, or how well you can use the latest design software—if you don't know how to pitch a concept, you won't get hired. You'll also learn about workflow: the stages and steps designers go through when completing a client project. Then, you'll get to participate in some of those steps while on internship, working with a design team at a local business or organization. You'll finish the graphic design program understanding how designs are created, planned, and brought to life, from start to finish. This is definitely one of the coolest takeaways of graphic design training. 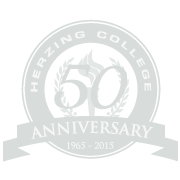 You'll learn how to create a professional portfolio to show potential employers. Several of your class projects will be good enough to include in the portfolio, giving you a jump start at finding your first job after college. You'll start the program as a complete newbie—and graduate ready to present polished work that integrates all the latest design tools and techniques. Your portfolio is concrete evidence of the transformation you've undergone; from total novice to graphic design professional. Want to learn more about design training and careers? Get fast, free info about courses, admission requirements, tuition, class schedules, and more. An Advisor will follow up to answer any questions you may have. Browse a detailed course list, learn more about careers, and chat live with an Admissions Advisor. We're here to help!